The Aam Aadmi Party is nowadays one of the main topics of discussion in India. The common Indian, a harassed and helpless person, at the mercy of the unforgiving political class, visualizes the AAP as some sort of light at the end of a long and unending dark tunnel. 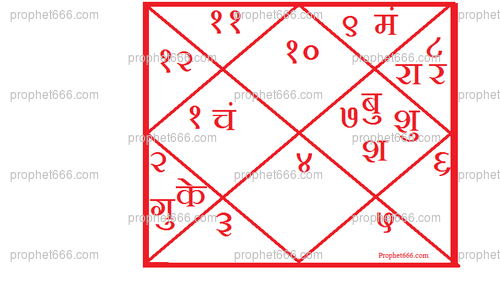 In this post, I have examined the Horoscope of the AAP, the one derived from the commonly agreed time of the birth of this party. The future predictions given in this post are not based on any complicated astrological calculations, but based purely on my reading of this Horoscope. The unexpected rise of AAP, from a bystander to the main stream of Indian politics is without hesitation attributed to the positioning of Saturn in the 10th House; the Mid Heavens. This is the high point of this Horoscope. Saturn is the only Heavenly Body, which is attributed the quality of turning a beggar overnight in to a king, the overnight meteoric rise in life which is astonishing. This is the Raj-Yoga is this Horoscope. Another thing to remember about these sudden overnight elevations, the downfall can be equally sharp and rapid. Saturn is unforgiving as far as arrogance goes, he always brings the arrogant down to earth. The Moon Sign of the AAP is Gemini, a mutable air sign, symbolizing duality, certainly adverse. This best explains, if one goes by astrology, why 10 or 20 of their members speak at the same time in what appears to be an arrogant manner. The founder of AAP, Arvind Kejriwal must keep in mind that such opportunities are extremely hard to come by and they should make the most of it. The future is in a state of dynamic motion and hence nothing can be ruled out, I will keep looking at the AAP with interest. This astrologer speak political. Saturn is exalted, venus is on own house and mercury is friend sign. This three planet are owner of trine and is in angle from moon. This is terrifically strong raja yoga. AAP will rule from 2020. May be modi win 2019 election due to war with pakistan but AAP will be major party after it.